Are you serious about blogging and would like to do things right? Would you like to take your blogging a notch higher? If you’re like me – you love to blog and would like to learn more about it, then I have something for you. 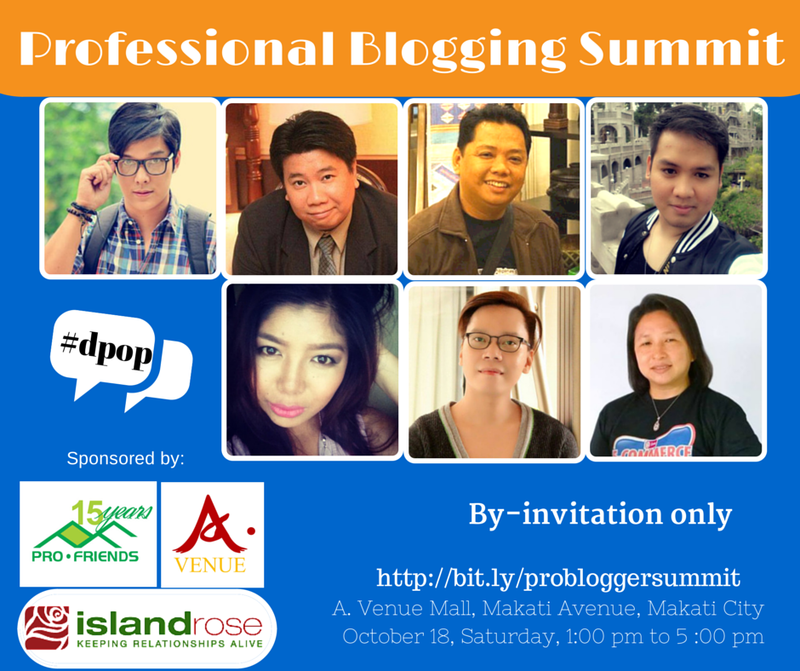 Ms. Janette Toral of E-Commerce Boot Camp will be spearheading an upcoming Professional Blogging Summit this coming Saturday, October 18, from 1 pm to 5 pm. This half-day conference is FREE but by invitation only to the first 100 bloggers who would register (tick tock, tick tock..). Prepare to hear about tips and useful insights on how blog celebrities started out, managed their social media network, rose above challenges and enhanced their online business relationships with clients and partners. Registration will start as early as 12 noon. For details on the registration, speakers and topics included, you may visit E-Commerce Boot Camp’s official website. The event will be held at A.Venue Mall in Makati Avenue in Makati. It is near Best Western Plus Antel Hotel. Smart business owners today are waking up to the power and influence of blogging as an online platform to launch and their businesses. Don’t be left out.